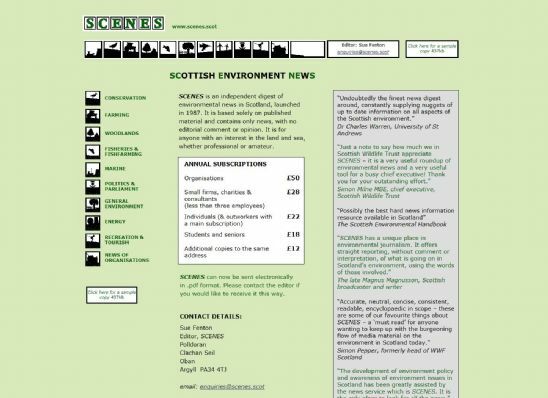 SCENES is an independent digest of environmental news in Scotland, launched in 1987. It is for anyone with an interest in the land and sea, whether professional or amateur. As the site is purely about Scottish Environmental News, run from Argyll, then the .scot domain is an ideal platform to have an online presence.